Anthropomorphism is nothing new within the art world and especially within the illustration industry. As humans we actively engage with, and treat our pets as if they were human beings we name them, (sometimes human names) converse with them groom them, and treat them as family members, sometimes pampering them as if they were children. Of course human children grow up observing this behaviour, dressing the dog and going on space adventures with the cat. This is reflected within Children’s literature which is full of animals because of the interesting characters and relatable human antics. Anthropomorphism, is an integral part of human history, since the believed beginning of art history humans created sculptures of humans with animal heads over 30,000 years ago, advancing into the development of subsequent cultures and religions, from illuminated texts to needle crafts the act of humanizing animals has been a major influence in the development of modern culture. As cultures developed through time, many traditional stories and myths, where passed down through generations, and with the advent of printing presses over traditional etching techniques, and larger production runs, books became increasingly accessible for everyone to enjoy, rather just for the elite. 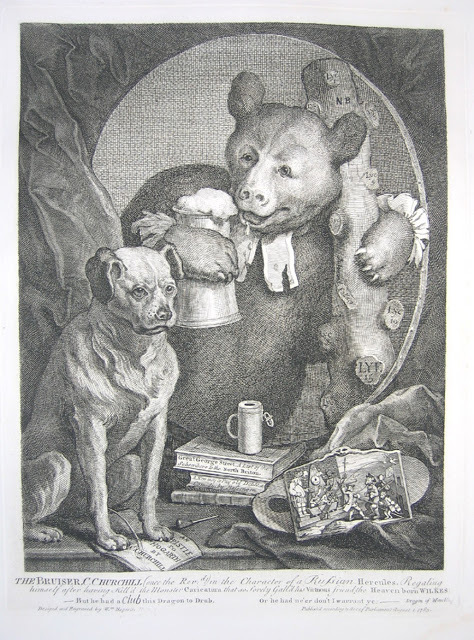 Artists such as William Hogarth, and Wilhelm Von Kaulbach in the 19th century utilised etching techniques to create satirical anthropomorphic illustrations. 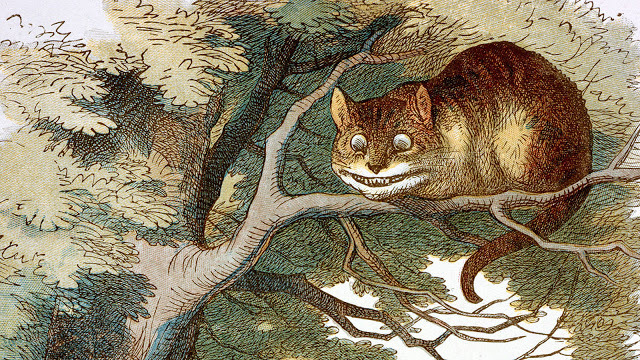 Grinning cat taken from ‘ Alice’s adventures in wonderland’. Illustrators such as Beatrix potter working at the turn of the century, where part of a transition whereby the availability of children’s books was beginning to expand to the masses through developing printing technology. By the turn of the century and the subsequent world wars, the marketplace begin to expand and anthropomorphic books and board games are seen more readily. A good amount of this forward progress is thanks to the Uncle Wiggily series by Howard Garis. 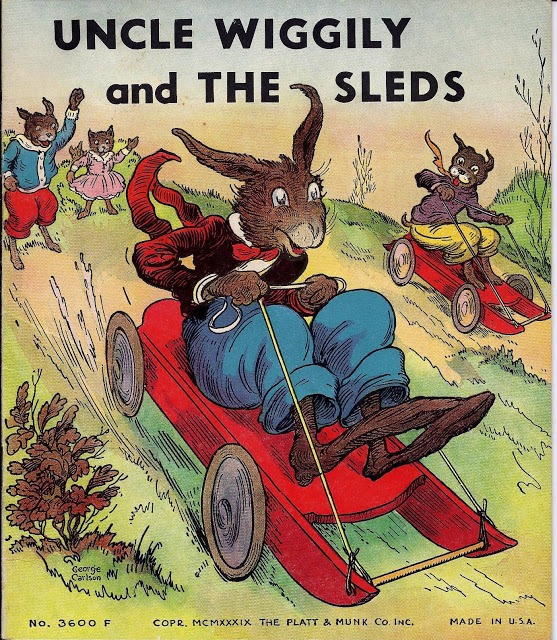 The Uncle Wiggily series and its contemporaries illustrate the next advancement in the evolution of anthropomorphism in children’s literature. Instead of being animals living in fear of humans, this world has in fact moved to the point where humans are unnecessary for the story, so they are removed. 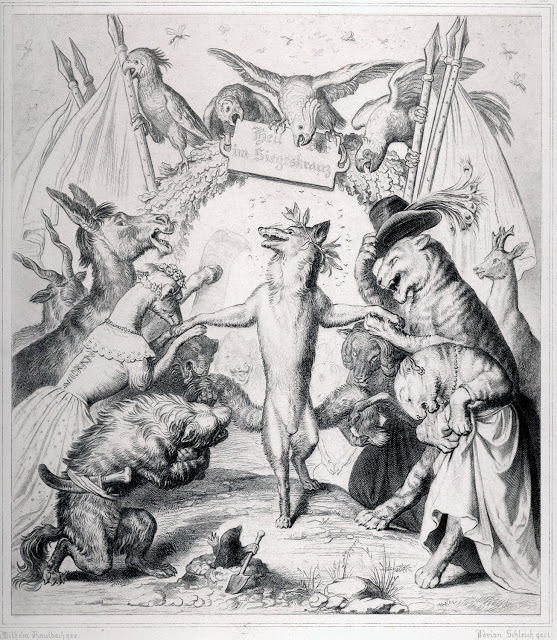 It should be noted that as art transitioned from the 16th to 17th century, degrees of anthropomorphism began to move in unique directions. 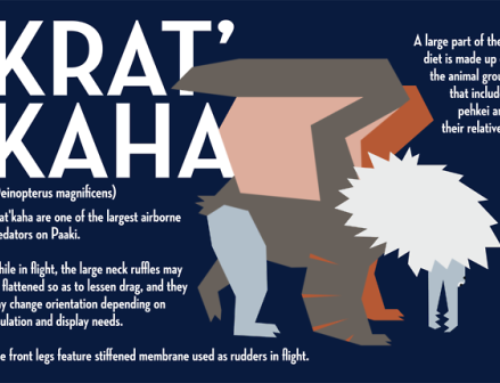 No longer animals were those who merely talked or walked divided between two or four feet, creatures began wearing clothes, living in homes and having complicated family structures develop. 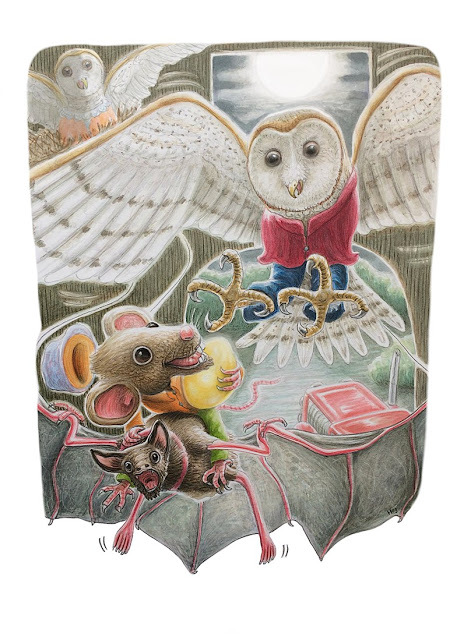 Thanks to previous generations, children have begun to think more creatively, and are more likely to grasp the ideas involved in a purely animal setting.This expunging of humans begins a new chapter in children’s literature, no longer being held back by the constraints of our own reality, authors and illustrators have the opportunity to effectively create new universes for their characters to play in. Though many more artists could be mentioned to describe the variety of styles present in the current marketplace, such as Jon Klassen, Ursula Vernon, and John Manders, the works of Boutavant and Brett succinctly illustrate the range that is possible. In a general sense, as the world population has increased, so to has the variety of possible outcomes and artists to fill the needs. In any section of the market, it is possible for any particular style to be relevant and represented. As the world moves forward, and we continue to explore new avenues for anthropomorphism in art, it will be exciting to see what develops, be it realism or abstracted, traditionally painted or digital. The important thing is that children continue to enjoy and learn from these interesting animals and the worlds they inhabit. 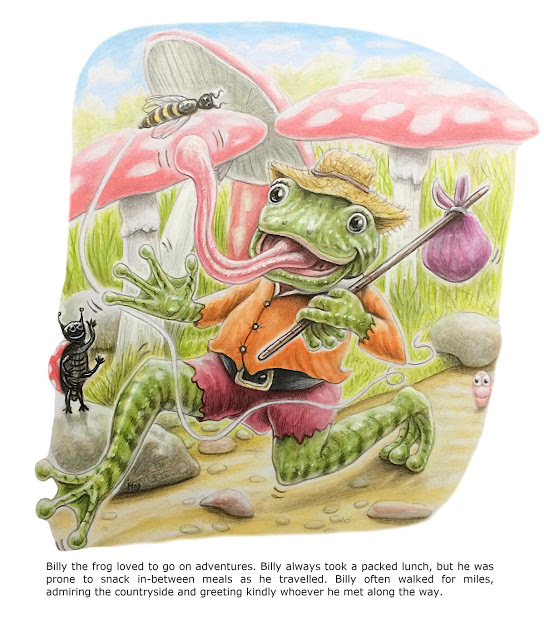 As an Illustrator of children’s literature I am constantly evaluating my own practise. My style has evolved to such a degree that I don’t have any trouble drawing anything I can imagine. 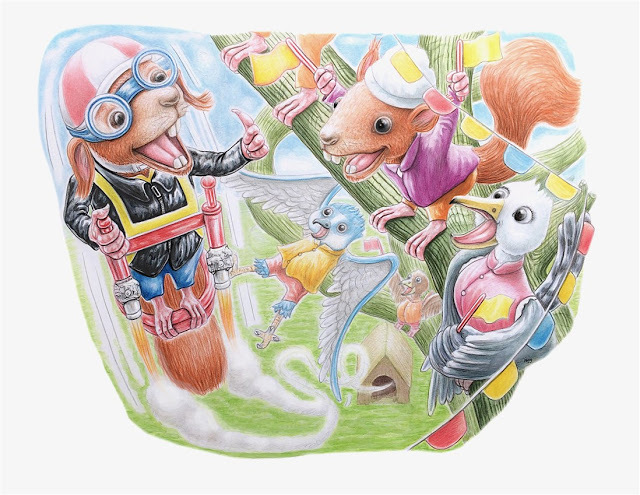 Anthropomorphism offers an excellent vehicle for expressing ideas, as it affords an in depth analysis of an imagination, and along with the culturally informed universality of personification, it continues to offer a stimulating vehicle for illustrating children’s literature. I have decided to concentrate wholly on producing anthropomorphic work, for the foreseeable future. Over the last month or so I have developed further my ideas and produced four personification illustrations. My style has evolved to encompass a bright and modern aesthetic. Although they are mainly created with traditional media. Artists today have a vast plethora of digital tools to enable a whole new aesthetic, buts let us not forget that too much one sided digital work may endanger an artists originality and also lead to a mass of work that all looks the same. 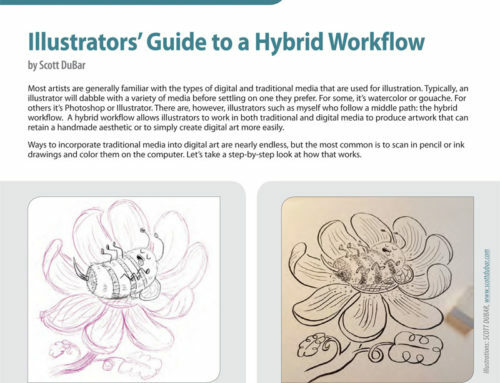 I have tried most digital software and can tell you that although most offer promises of an exact replica of traditional media outcomes, this is just not true, you cannot replicate the reality of traditionally produced work digitally. Technology is not there yet. Digital tools are exactly that, a tool, and not a replacement. I have included new digital tools to my visual vocabulary that are utilised to further enhance the images. 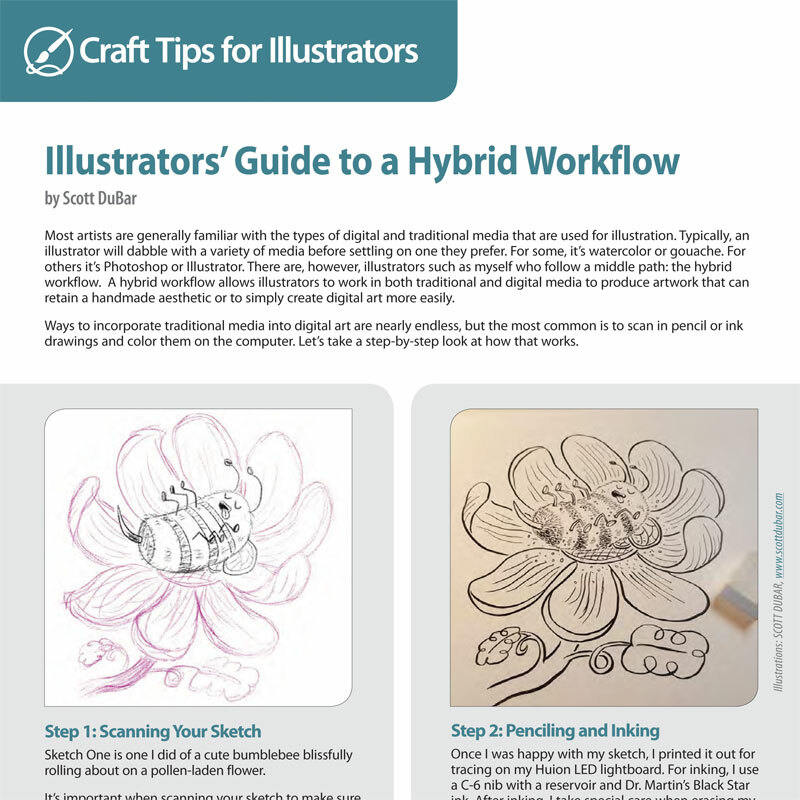 Utilising digital tools also prepares the work for web and print options, being able to manipulate the environments and augment the differing size and DPI measurements is a vital step in an illustrators arsenal. My work may have a traditional ‘feel’ but with its simplified forms and colors , along with relevant deconstruction to create the most pleasing aesthetic for children viewers. 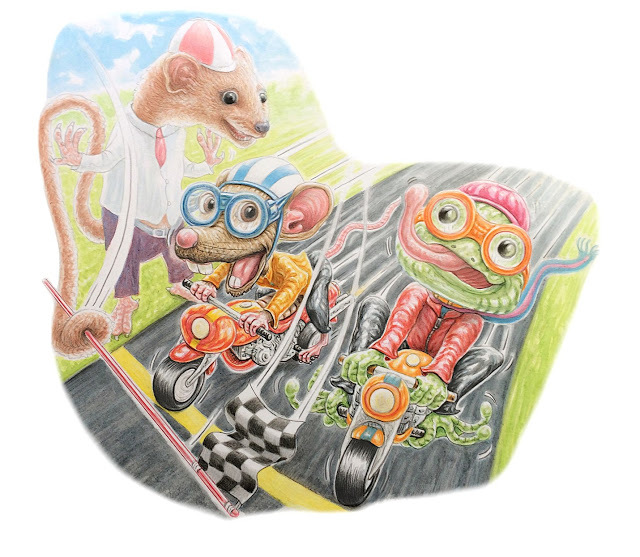 Max the mouse steals the golden egg.